Never miss a Twitter message or mention by forwarding all Twitter notifications to your LiveChat ticketing system. It’s another step towards managing your entire communication in one place. 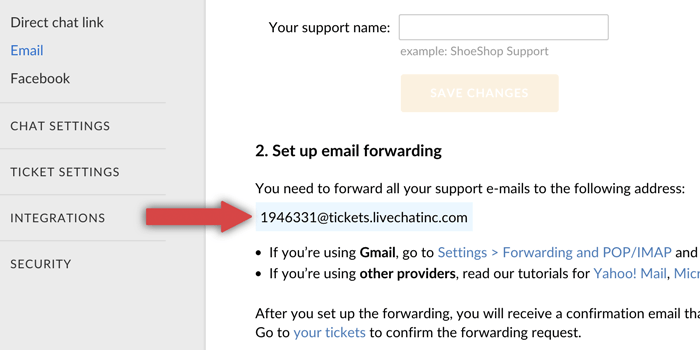 To set up the forwarding, first you need to get your LiveChat forwarding email. Simply log in and copy the highlighted email address. You may want to create a new group for the Twitter notifications to track them separately in the reports. To do that, create a group in the Agents section. When getting your LiveChat forwarding email, select the group by clicking the pick a group link and selecting the group from the drop-down menu. Once you have the email, you need to add it to your Twitter account. 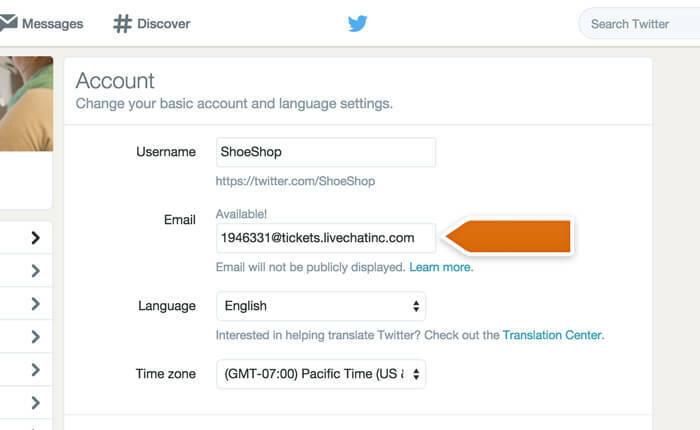 Go to your Twitter settings and enter your LiveChat ticketing email in the Email field. Click on the Save changes button to finalize. From now on, all your Twitter notifications will be created as tickets in your LiveChat. You can choose which notifications you receive in the Email notifications section of your Twitter settings.